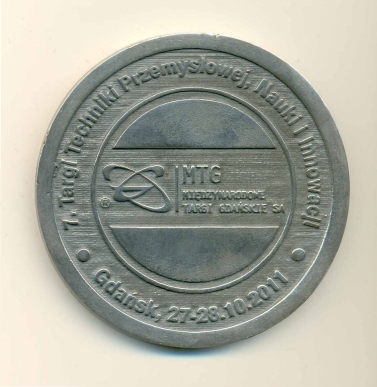 Institute of Physics Polish Academy of Sciences (IP PAS) continues a new initiative started in 2009 of participation in Innovative Economy Fairs, where achievements of the IP PAS employees are presented. 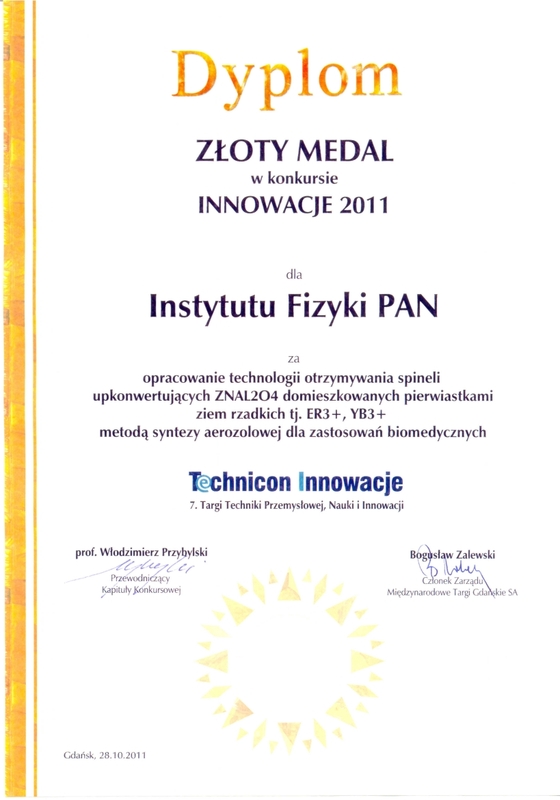 In the Autumn 2011 the group of IP PAS researchers participated in the 7th Fairs of Industrial Technique, Science and Innovation "TECHNICON-INNOWACJE 2011" organized in Gdansk on 25-26 October 2011. 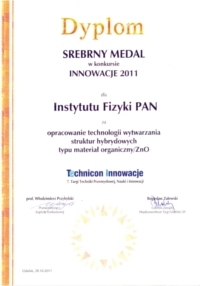 They presented there the results of two European Union Innovative Economy Programs with acronyms NanoBiom and MIME. Presentation was prepared jointly with the Institute of High Pressure and Physical Chemistry PAS participating in the NanoBiom program. The IP PAS presentation attracted a wide audience of the fairs visitors. We could also meet representatives of other institutions and companies participating in the fairs, including the ones from the ministries responsible for the research and industry. The best results and developments presented during the fairs are nominated to prizes. This year Competition Committee granted two prestigious prizes for the works done in the IP PAS within the NanoBiom program. 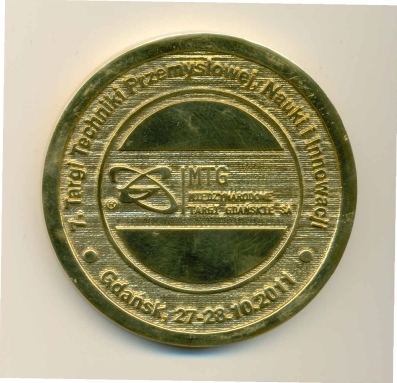 Works on new generations of fluorescence labels for applications in biology and on hybrid structures done in the research groups of Profs. 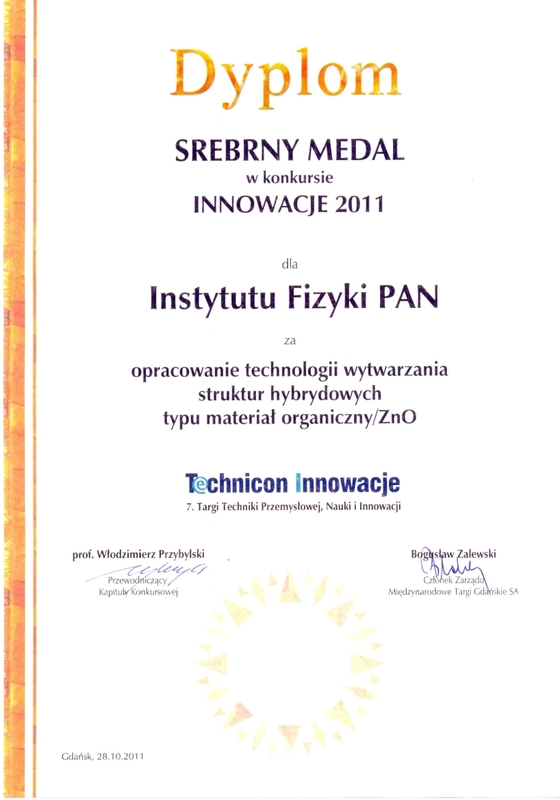 D. Elbaum and M. Godlewski got gold and silver medals in the Innovation 2011 competition.